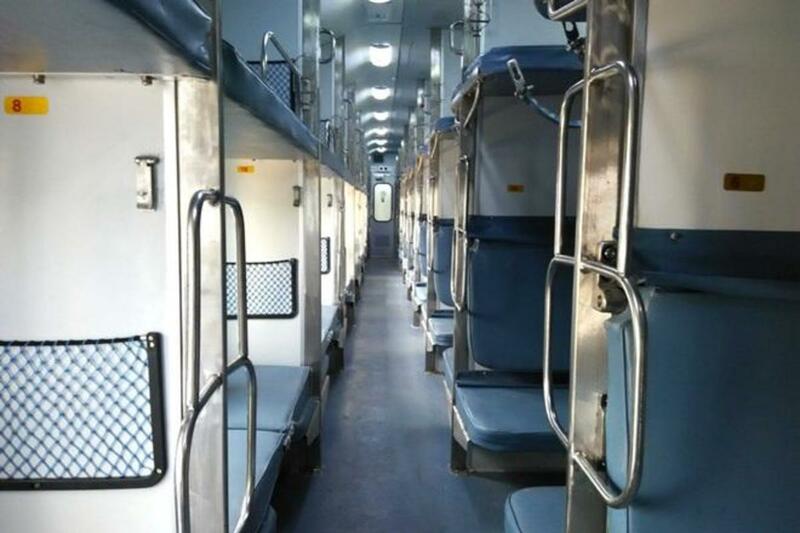 Railway Minister Piyush Goyal said that the national transporter is experimenting with extension of trains. He cited the example of extending Gatimaan Express to first Gwalior and then Jhansi. 1.) Train number 18107/18108 Rourkela-Koraput Express will be extended up to Jagdalpur. On extended portion, the train will halt at Jeypore, Kotapar Road stations. 2.) Train number 14369/24369 Bareilly-Singrauli and 14370/24370 Shaktinagar Express will be extended up to Tanakpur. On extended portion, the train will halt at Bareilly city, Izzatnagar, Pilibhit, Majhola Pakariya stations. 3.) Train number 14630/14629 Firozpur-Ludhiana Cantt Sutluj Express will be extended up to Chandigarh. On extended portion, the train will halt at Sahibzada Ajit Singh Nagar (Mohali), New Morinda stations. 4.) Train number 24887/24888 Barmer-Haridwar Link Express will be extended up to Rishikesh. On extended portion, the train will halt at Raiwala station. 5.) Train number 18213/18214 Durg-Jaipur Express will be extended up to Ajmer. On extended portion, the train will halt at Durgapura station. 6.) Train number 19710/19709 Kamakhya-Jaipur Kaviguru Express will be extended up to Udaipur. On extended portion, the train will halt at Ajmer, Bhilwara, Chanderiya, Mavli, Ranapratapnagar stations. 7.) Train number 20889/20890 Howrah-Vijayawada Humsafar Express will be extended up to Tirupati. On extended portion, the train will halt at Ongole, Nellore, Renigunta stations. 8.) Train number 22604/22603 Villupuram-Kharagpur Express will be extended up to Purulia (for 01 day). On extended portion, the train will halt at Hijli, Midnapore, Bishnupur, Bankura, Adra stations. 9.) Train number 18416/18415 Puri-Barbil Express will be extended up to Rourkela. On extended portion, the train will halt at Kendposi, Chaibasa, Chakradharpur, Manoharpur stations. 10.) Train number 22632/22631 Bikaner-Chennai Anuvrat Express will be extended up to Madurai. On extended portion, the train will halt at Chennai Egmore, Tambram, Chengalpattu, Villupuram, Vriddhachalam, Ariyalur, Srirangam, Tiruchchirappalli, Dindigul, Kodaikanal Road stations. 11.) Train number 22913/22914 Bandra (T)-Patna Humsafar Express will be extended up to Saharsa. On extended portion, the train will halt at Begusarai, Khagaria stations. 12.) Train number 12473/12474 Shri Mata Vaishno Devi Katra-Ahmedabad Sarvodaya Express will be extended up to Gandhidham. On extended portion, the train will halt at Viramgam, Dharangdhara, Samakhayali stations. 13.) Train number 19301/19302 Yesvantpur-Indore Express will be extended up to Dr Ambedkar Nagar (Mhow). On extended portion, the train will not halt at any station. 14.) Train number 66019/66020 Salem-Katpadi MEMU will be extended up to Arakkonam. On extended portion, the train will halt at Mukundarayapuramm, Walajah Road, Sholinghur stations. 15.) Train number 68433/68434 Cuttack-Brahampur MEMU will be extended up to Ichchapuram. On extended portion, the train will halt at all stations en-route. 16.) Train number 64511/64512 Saharanpur-Nangal Dam MEMU will be extended up to Una himachal. On extended portion, the train will halt at all stations en-route. 17.) Train number 67249/67250 Secunderabad-Tandur MEMU will be extended up to Chittapur. On extended portion, the train will halt at Mantatti, Nawandgi, Kurgunta, Seram, Malkhaid Road stations. 19.) Train number 74906/74907 Udhampur-Jammu Tawi DEMU will be extended up to Pathankot. On extended portion, the train will halt at all stations en-route. 20.) Train number 77673/77674 Mirylaguda-Kacheguda DEMU will be extended up to Nadikude. On extended portion, the train will halt at Kondrapole Halt, Vishnupuram, Pondugula stations. 21.) Train number 59121/59120 Pratap Nagar-Chhota Udaipur Passenger will be extended up to Moti Sadli. On extended portion, the train will halt at Padaliya Road station. 22.) Train number 58526/58525 Visakhapatnam-Palasa Passenger will be extended up to Brahampur. On extended portion, the train will halt at all stations en-route.